Art Deco House Number and Name Stickers | Purlfrost. 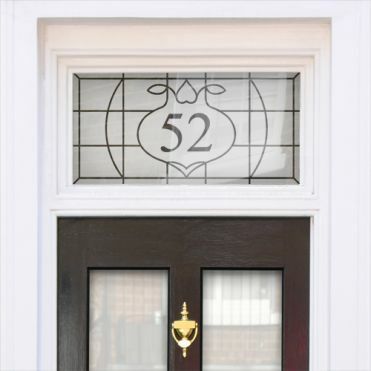 Art Deco house number sticker in frosted effect, resiuzed to your exact measurements with your own number. Easy to apply in minutes. Clear or coloured pattern within an etch effect background. Our Art Deco inspired house number designs are an exact replica of actual period designs which we have carefully recreated in a digital format. They are ideal for a transom above a door, a window or a door itself. With our online design facility, you can order the film to your exact measurements and insert your very own house number.